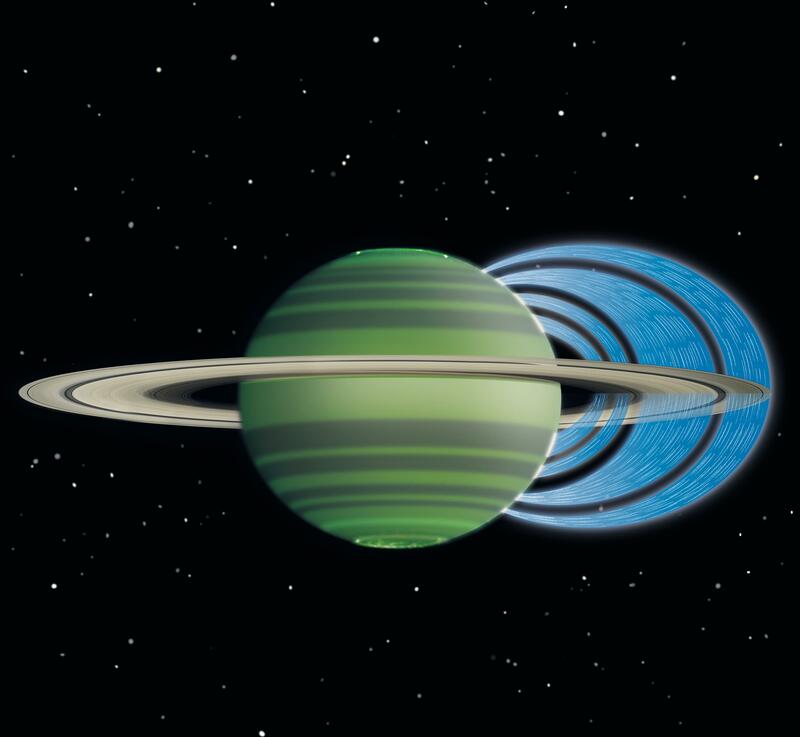 Scientists find particles rich in water ice and silicates in Saturn's ring rain. 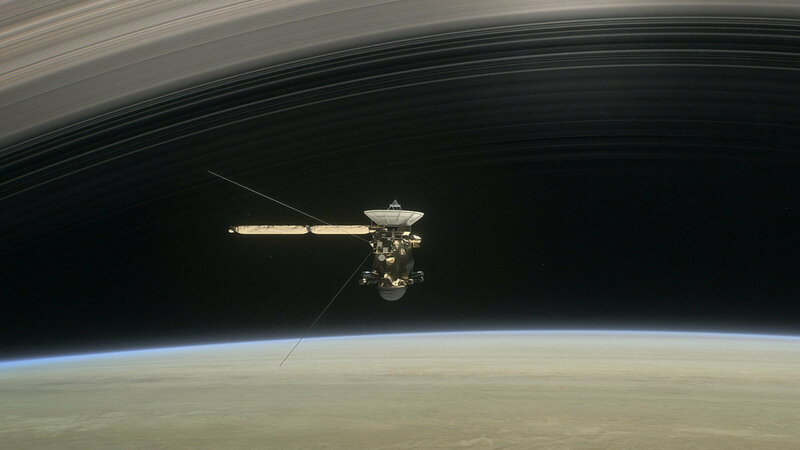 The analysis of Cassini CDA data provides new insights into the composition of Saturn's main rings. A year ago, the Cassini spacecraft burned up in the atmosphere of the planet Saturn - a spectacular end to one of the most successful missions in space history. This event was preceded by 22 passes through the gap between Saturn and its rings. For the first time these orbits offered the opportunity to analyse the ring rain. This phenomenon arises because Saturn's rings are continuously bombarded by meteorites. Fine particles of the ring material are released by the impacts. These particles move along the magnetic field lines, which emanate from the inside of the gas planet and enter its atmosphere. Dynamic analyses carried out at the University of Colorado in Boulder, USA, have already predicted this phenomenon. The last orbits made it possible for the first time to detect the ring rain by measurements and to analyze the samples, which have their origin in the main ring, and to determine their composition. Particles rich in silicates and water ice were detected. Complex organic compounds, embedded in water ice particles, were discovered. Most of the dust particles measured were in the size range of a few ten nanometres. The scientists publish the new findings in the current issue of the journal Science. The instrument with which these measurements were performed is the Cosmic Dust Analyzer (CDA). This instrument was developed and built by the Max Planck Institute for Nuclear Physics (Heidelberg) and Deutsches Zentrum für Luft- und Raumfahrt (DLR). Scientific planning and mission operations have been carried out by the Institute of Space Systems (IRS) at the University of Stuttgart since 2011. The Cassini-Huygens mission is a cooperative project between NASA, ESA and the Italian Space Agency. The Jet Propulsion Laboratory in Pasadena/USA leads the mission for NASA's Science Mission Directorate in Washington. The project is funded by Deutsches Zentrum für Luft- und Raumfahrt (DLR).